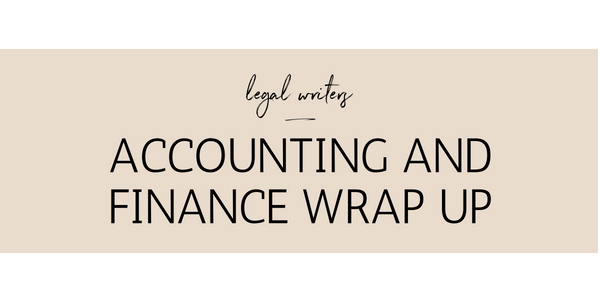 This is our first accounting and finance wrap up. Like our legal wrap up, each month we’ll bring you a summary of developments that may be relevant to your clients. This is designed to help you identify interesting things to write blog posts on, put in newsletters and talk to your clients about. If you’re running short on time, get in touch and we’ll be happy to help get the word out. The Royal Commission into Misconduct in the Banking, Superannuation and Financial Services Industry has focused on banking and financial services to date. From 6 August, it will be focusing on superannuation funds. It is requesting that executives provide evidence on claimed expenditure and marketing to ensure that the funds acted in the best interests of their members. The planned second stage of corporate tax cuts has failed to get support in the Senate and will be deferred. The plan under the Treasury Laws Amendment (Enterprise Tax Plan No 2) Bill 2017 (Cth) was to extend the 27.5% corporate tax rate to all corporate tax entities. Currently under those with a turnover under $50M are eligible.